73. ^ He was a fine thinker and much valued teacher, whose expertise ranged across science, philosophy and literature. During his period as a lecturer in Philosophy at the University of Sussex (1965–76) he played an important part in the promotion of Marxist philosophical studies in the British academy. His final post before retirement was at Kingston University, where he taught English Literature and was an influence on the life writing project then developing there. Born in 1938 near Watford, John was one of five children whose early lives were blighted by violence in the home and the breakdown of their parents’ relationship. His mother left home when John was 13, but later returned when his father died some three years later. John was expected at that point to leave school and take up paid work to help support the family. But his headmaster at Watford Grammar School, Harry Rée (father of Jonathan, Brian and Janet), intervened on his behalf, and he and his wife Hetty offered to take John into their own home so he could continue at school. In 1958 John gained a scholarship to Oxford to study biochemistry and graduated with a first. Subsequently he studied with the historian of science Charles Gillispie at Princeton before returning to Oxford for further postgraduate study. Following his marriage in 1964 to Lydie, who was French, and the birth of a son, Jonathan, in 1967, he took a post at Reed College in Portland, Oregon. The next two years were spent teaching and travelling in America at a point when the anti-Vietnam War agitation and campus politicization were at their height. One of his students from that time recalls the wonderful ‘fabric of literary and philosophical interconnections he wove in discussing politics’. John was subsequently offered a lectureship at Sussex University, where his interdisciplinary training and critical stance were well suited to the teaching programme and ethos of the early 1970s. He was an influence on the history and philosophy of science offering within the natural sciences, as well as having a major impact on the philosophy provision itself. He often took on an excessive teaching load. In explanation of this, his friend and colleague at Sussex, Gabriel Josipovici, recalls him arguing that there were courses that had to be brought on stream that if he didn’t develop and teach, no one else would. He was the key figure in the planning and teaching of Sussex’s innovative M.A. course in Marxist Philosophy, which became something of a model for other British universities. John was involved in a number of its pioneering publication projects. A fluent French speaker, he developed a network of cross-Channel contacts, and was instrumental in the signing of several translations, including the first of Blanchot in English, and works by Cornelius Castoriadis, Michel Bosquet (alias André Gorz), Georges Labica and Jacques Bidet. He himself was the translator of Alexandre Koyré’s Galileo Studies for Humanities Press, and one of the translators of the highly successful Power/Knowledge collection of Foucault interviews. John’s main project with Harvester Press was the four-volume Issues in Marxist Philosophy, co-edited with David-Hillel Ruben, which remains the main source for the school of British Marxism sometimes referred to as ‘Aristotelian’. Reprinted in volume 2 of Issues in Marxist Philosophy is his influential interpretation of Marx’s theory of ideology, which was first published in Radical Philosophy 2, and has helped to ensure the rarity of that particular issue. This and other of his articles of the period, notably his contribution to the 1972 Wolfson College lectures, Structuralism, edited by David Robey, which offers a comparative study of Lévi-Strauss and Merleau-Ponty, are among the most lucid and measured expositions of structuralist thought. Though he was sometimes described as an Althusserian, this was a simplification of his position. Eloquent exponent though he was of the stratified ontology and essence–form distinctions in Marxist and Freudian theory and their parallels in structuralist anthropology and semiotics, he was always alert to the limitations of a reductive anti-subjectivism, and the mediation of thinkers such as Merleau-Ponty, Castoriadis and Ricœur is evident in the argument of his philosophical writings. He also took a keen interest in the then developing Marxist critiques of the division of labour (notably the work of Alfred SohnRethel), the Zerowork movement, and the materialist analysis of the labour process associated with the Conference of Socialist Economists. He contributed some excellent writings on value theory and the organization of work to the Brighton Labour Process Group pamphlets. As one who benefited greatly from the complex intellectual synthesis that informed John’s teaching at this time, I can vouch for the scrupulous resistance to easy ways of thinking, his continuous unveiling of the difficulties lurking beneath the apparent resolution or brought into clearer view because of it. And to him I owe, among much else, the inspiration to embark on PhD study of what is surely the most productively contradictory and irresoluble aspect of Marx’s thought: his arguments on human needs. Evident, too, in John’s writing and teaching was his wide reading in poetry and fiction, and his interest in narrative theory and literary criticism. Even as he was struggling with an undergraduate course on biochemistry, he was reading Thomas Mann and Nabokov. Robbe-Grillet, whom he never read as an objectivist, was as important a guide to the understanding of jealousy and repression as any theory. Proust, Joyce and Woolf were always central to his sense of the world and to his understanding and critique of modernity. And over time it was his more literary interests that came to predominate and to shape the decisions of the latter part of his academic career. During this period he published a literary biography of Woolf, introductory guides to several of her novels, and texts on Dorothy Richardson and Doris Lessing. Other engagements were with postmodernist narrative theory, film and broadcasting, and the novels of James Kelman, a writer for whose political perspective and distinctive narrative voices he felt a special empathy. The protean intellect went together with a resistance to university institutionalization and conventional career building. On throwing in his tenured post at Sussex, John quoted Luther to the effect that ‘no one should teach for more than ten years’, and although he did not in the end keep to that limit, he always remained fearful of the ways in which the academy could monopolize time and energy and marginalize or diminish other crucial aspects of life. In line with this, he aspired to a breakdown of the mental–manual division of time and labour of a kind that would today appear odd to many, but was seen by him as integral to furthering social equality and the realization of a genuinely democratic culture. He was one of those relatively rare, but all the more to be valued, thinkers whose passion for exacting intellectual pursuits was always troubled by a nagging sense of how restricted their enjoyment is under existing social conditions, and of his own privilege in having easy access to it. It followed that John should lend himself with some enthusiasm to the Radical Philosophy project in the early 1970s, and be one of several early editors contributing to the journal’s promotion of Continental philosophy and its challenge to the existing philosophical establishment. He was also active at that time in the physical creation of the journal, several issues of which were pasted up during long sessions at his home, initially in Brighton and later in North London, in the days when layout and proofing on RP involved much fiddly work with glue and scissors, tweezers and Letraset. 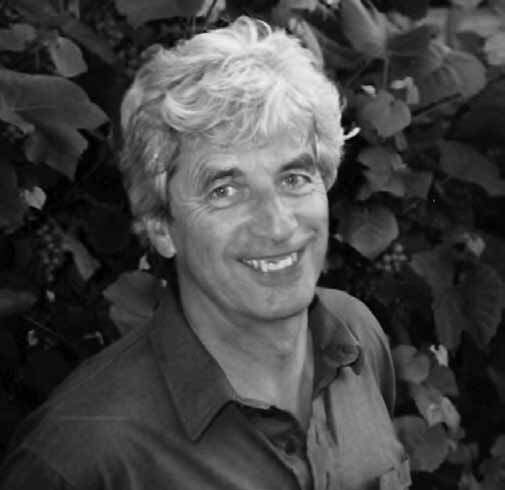 During the 1980s, John became actively involved with the European Nuclear Disarmament (END) movement, was a speaker for it both here and abroad, and a member of its Coordinating Committee. Together with Mehmet Ali Dikerdem he headed the END campaign for the release of imprisoned members of the Turkish Peace Association, visited Turkey on their behalf, and wrote its special report (under cover of the pseudonym Jean Furtado – although in a typical END oversight this was unfortunately blown by the printing of their real names on the back of the pamphlet!) Condemned in 1983 to up to eight years, the prisoners included many leading Turkish intellectuals. The ‘Furtado’ pamphlet helped to bring their case to attention in Britain, and was an important element in securing an early release. After leaving Sussex, John spent time in Australia with his son Jonathan and taught in Brisbane. In 1981 he settled in North London, where he lived for many years with Janet Rée, to whom he had been close since his teenage years in the Rée household, becoming something of a stepfather to Janet’s daughters Harriet and Becky. During this time he taught occasional semesters in Literature at Bennington College in the USA, as well as joining the English Department at Kingston University, where he contributed courses on Modernism, Film and Critical Theory. Among other innovations at postgraduate level, he pioneered an MA course on the study and practice of life writing, a forerunner to the later establishment of the Centre for Life Writing. He was renowned at Kingston for the lucidity of his teaching and exceptional student support. In the words of his colleague Sarah Skeats ‘he cared deeply about the students and… was especially supportive of mature students, those from diasporic backgrounds or students who had come into higher education through non-standard routes.’ In 1996 John met Sandra Clarke, whom he married in 2000, and he lived with her, and her daughter Catherine, in Hampton for several years. Sandra took on the role of primary carer during his last years in which he was racked by unforgiving illness (an acoustic neuroma), and underwent several horribly disabling and confining operations. This was all the more grim for him as throughout his earlier life he had always been physically active and taken great pleasure in hiking, camping, gardening and football. Those who knew and loved John will remember him for his great charm and energy, for his passionate and often very generous nature, and for an unsparing candour that could at times be delightfully enlightening, both about himself and others, but at other times disconcerting, and even deeply painful. All these aspects lent their particular force and focus to his conversation, for which he had a special gift and stamina. In his role as intellectual and teacher he will be remembered above all, to quote Gabriel Josipovici’s tribute in the Sussex University bulletin, ‘for his utter integrity and his ability to ask the really important questions, his sense that in the field of human thought and culture there were no barriers’.